Two years is all it took for Coca-Cola to banish this new hybrid of cola and black coffee to the land of the Dead Foods—in 2008. It may have been the steep price that scared customers away, since they were getting a very small 8-ounce Coca-Cola beverage for $1.79. Others claim it was the unusual flavor, although I actually thought it tasted pretty good—like a combination of Coca-Cola, cream soda, and coffee. Hey, that sounds like a pretty combo for our hack. Dissolve some NutraSweet (that's what Coca-Cola uses) in cold espresso, add it to the sodas, and you'll get 24 ounces (3 servings) of a remarkable clone at a total cost of just 90 cents. That's more like it. Another Dead Food resurrected. 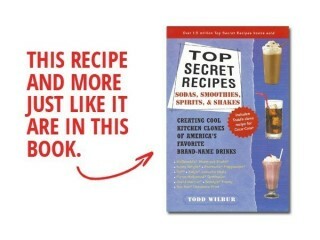 Source: Top Secret Recipes: Sodas, Smoothies, Spirits & Shakes by Todd Wilbur. Although the drink is 99 percent sugar water, that other 1 percent is the key to the drink's unique taste. The tangy citrus flavors, from lime juice, citrus oils, and citric acid (today the citric acid has been replaced with phosphoric acid), was used by pharmacist John Pemberton to overcome the inherent unpleasant bitterness of cocaine and caffeine. Even after removing the cocaine from the drink, it was still necessary to conceal the ghastly flavor of kola nut and coca leaf extract from the taste buds with the sweet, tangy syrup. To make an accurate clone of Coca-Cola at home, I started with the medicinal ingredient, probably just as John did. But rather than harvesting kola nuts, we have the luxury of access to caffeine pills found in any grocery store or pharmacy. One such brand is Vivarin, but it is yellow in color with a thick coating and it tastes much too bitter. NoDoz, however, is white and less bitter, with a thinner coating. Each NoDoz tablet contains 200 milligrams of caffeine, and a 12-ounce serving Coke has 46 milligrams in it. So, if we use 8 NoDoz tablets that have been crushed into powder with a mortar and pestle (or in a bowl using the back of a spoon) we get 44 milligrams of caffeine in a 12-ounce serving, or 36 milligrams in each of the 10-ounce servings we make with this recipe. Finding and adding the caffeine is the easy part. You'll probably have more trouble obtaining Coke's crucial flavoring ingredient: cassia oil. I was hoping to leave such a hard-to-get ingredient out of this recipe, but I found it impossible. The unique flavor of the Coke absolutely requires the inclusion of this Vietnamese cinnamon oil (usually sold for aromatherapy), but only a very small amount. You'll find the cassia oil in a health food store (I used the brand Oshadhi), along with the lemon oil and orange oil. The yield of this recipe had to be cranked up to 44 10-ounce servings since these oils are so strong—just one drop is all you'll need. Find them in bottles that allow you to measure exactly one drop if you can. If the oils don't come in such a bottle, buy eyedroppers at a drug store. Before you leave the health food store, don't forget the citric acid. This recipe, because of the old-fashioned technique of adding the syrup to soda water, creates a clone of Coke as it would taste coming out of a fountain machine. That Coke is usually not as fizzy as the bottled stuff. But if you add some ice to a glass of bottled Coke, and them some of this cloned version, the bubbles will settle down and you'll discover how close the two are. You can keep the syrup in a sealed container in the fridge until you are ready to mix each drink with soda water. Because subtle differences in flavor can affect the finished product, be sure to measure your ingredients very carefully. Use the flat top edge of a butter knife to scrape away the excess sugar and citric acid from the top of the measuring cup and teaspoon, and don't estimate on any of the liquid ingredients.